Graft-versus-host disease (GVHD) is a major complication of allogeneic hematopoietic stem cells transplantation, occurring in about half of transplanted patients. This condition seems to be the result of a progressive immune-mediated damage that can involve various tissues, including the eyes. The ocular surface system is the ocular structure most frequently impaired, and dry eye disease is considered the hallmark of ocular GVHD. Given the increasing prevalence and the frequent severe involvement of the ocular surface with vision-threatening complications, ocular GVHD represents a current diagnostic and therapeutic challenge. 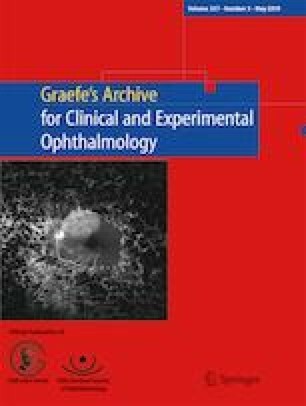 The purpose of this literature review is to describe all the clinical manifestations occurring in the setting of ocular GVHD, and to further report the outcomes of conventional and novel therapies. A literature search about ocular GVHD was performed in PubMed, Scopus, Medline databases, and ClinicalTrials.gov as well as through the reference lists of identified publications until January 2019. We have included RCTs, prospective observational studies, prospective and retrospective cohort studies, pilot studies, and review articles. Overall, 107 articles, 3 book chapters, and 6 ongoing registered clinical trials were collected and analyzed. Ocular GVHD can affect all the structures of the entire ocular surface system, including lacrimal and meibomian glands, cornea, conjunctiva, eyelids, nasolacrimal duct, and tears. Current medical treatment is mainly focused on lubrication and control of drainage, tear evaporation, and ocular surface inflammation. Surgical treatment may be necessary in severe, recalcitrant, or complicated cases. Amniotic membrane and tectonic keratoplasty can be valid options to restore the integrity of the cornea. Recently, conjunctival and limbal transplantation from the same living-related bone marrow donor has been proposed to manage both dry eye and limbal stem cell deficiency, without any risk of immunologic rejection. This review provides an up-to-date analysis on clinical findings and current and future management of ocular GVHD. A correct and prompt diagnosis along with an appropriate and aggressive treatment are fundamental for avoiding the occurrence of vision-threatening complications.